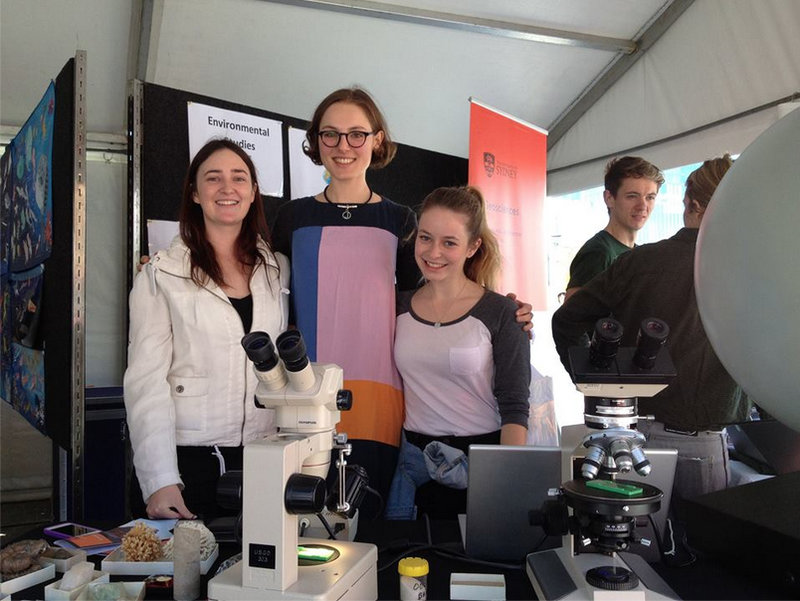 We are very proud of our team of volunteers who represented EarthByte at the University of Sydney Open Day on Saturday. EarthByte had six volunteers who set up at 8am, and presented activities at the Eastern Avenue hands-on interactive stations until 4pm. This is a great outreach activity, and very reassuring to see the new generations get behind the dynamic and inter-disciplinary School of Geosciences. A special thanks goes to our volunteers Luke Hardiman and Jodie Pall who set up in the morning, as well as Lauren Harrington, Lena O’Toole, Jo Tobin and James Egan! James and Luke also volunteered to help pack up, so another big thank you! 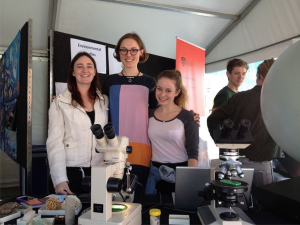 A big shout-out to Billy Haworth and Tegan Hall on the Geography hands-on desk, and the University of Sydney Institute of Marine Sciences (USIMS) team holding the fort at their hands-on activity booth.